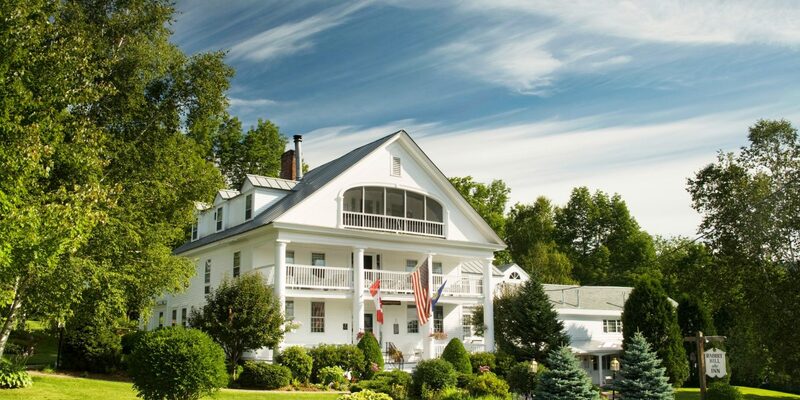 7 Romantic Bed and Breakfasts in the U.S. 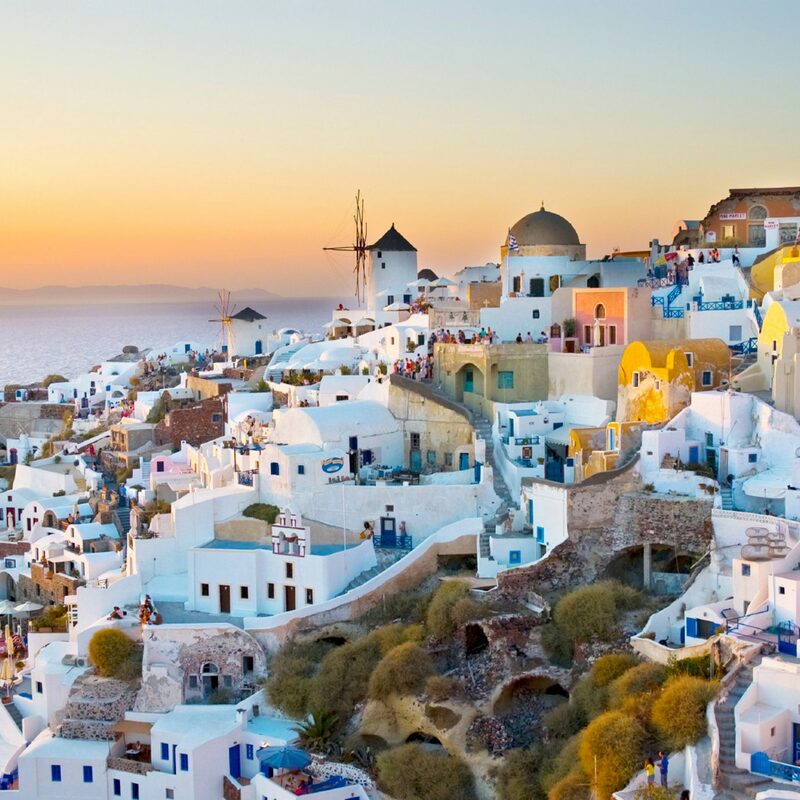 When it comes to wooing the object of your affection, no one can deny the over-the-top luxury of a hotel suite perched high atop one of the world’s most glamorous cities. 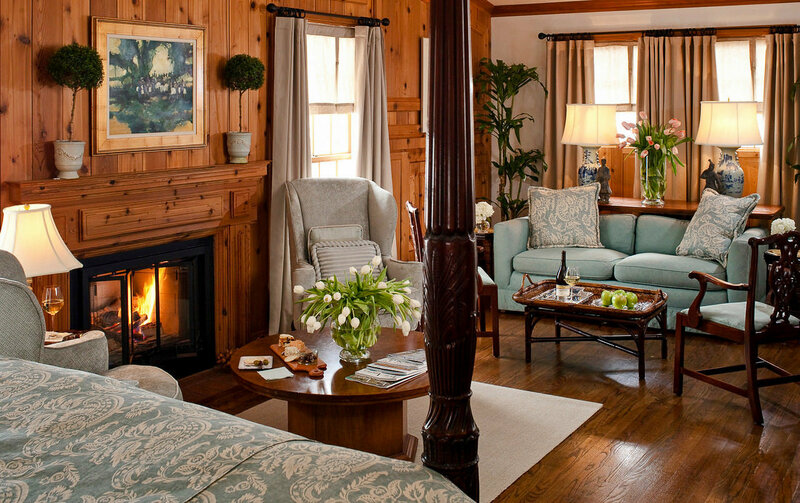 But, on the other end of the spectrum, there’s something so appealing about curling up in front of a fire, champagne glasses in hand, in what essentially feels like the middle of nowhere—a cozy room that isn’t surrounded by hundreds of others. 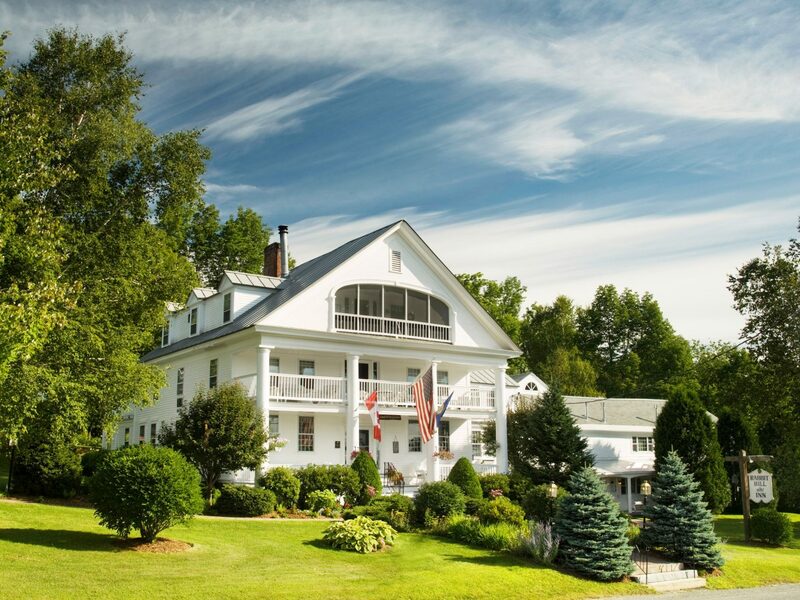 To prove our point, we rounded up seven of the most romantic bed and breakfasts in the U.S., where the top-notch service is second only to the idyllic atmosphere. Drive 200 miles north from Los Angeles up the iconic lover’s lane known as the Pacific Coast Highway and you’ll hit Cayucos, a beach town known for its laid back surf scene and folk-art shops. 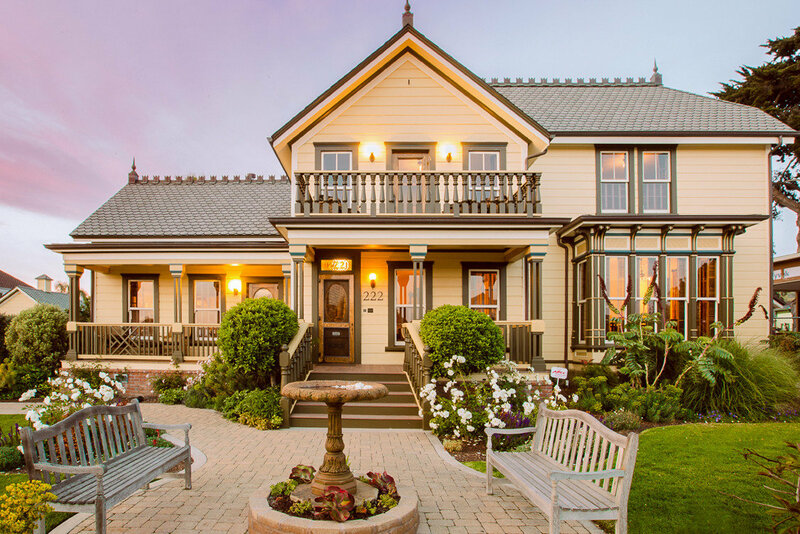 It’s also home to Cass House Cayucos, a restored 1867 mansion—the onetime residence of English sea captain James Cass—where the living is easy. 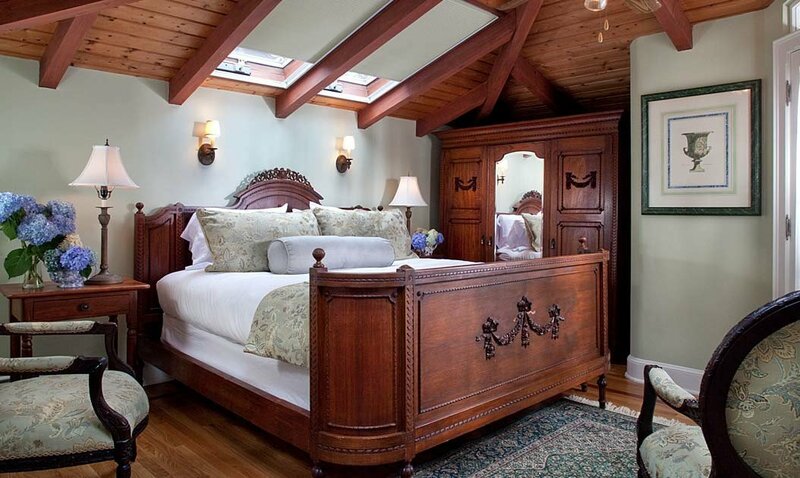 The inn’s five guest rooms are distinctively decorated, but all display the requisite sense of California luxury, whether with cane headboards, deep soaking tubs, or generous ocean views. 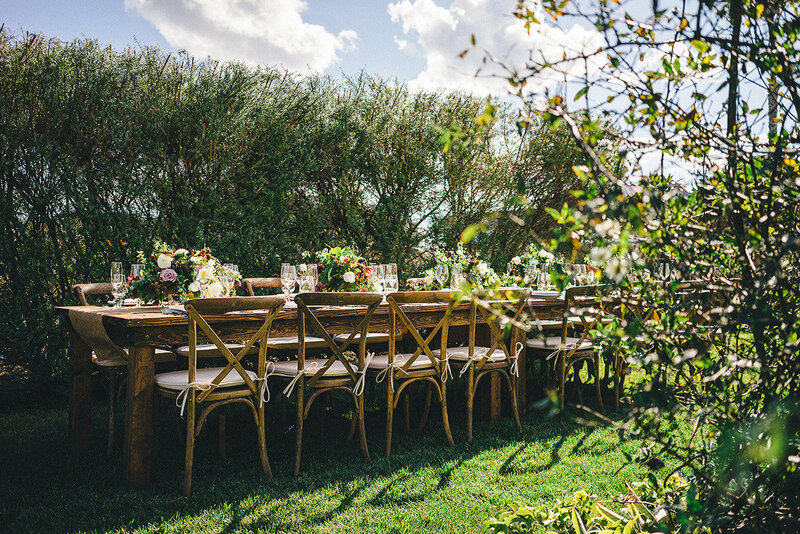 While the staff can arrange for immersive aquatic and wine-themed experiences, the real draw lies in Cass House’s culinary delights: in the bakery’s house-made scones and the restaurant’s farmstead dinners. 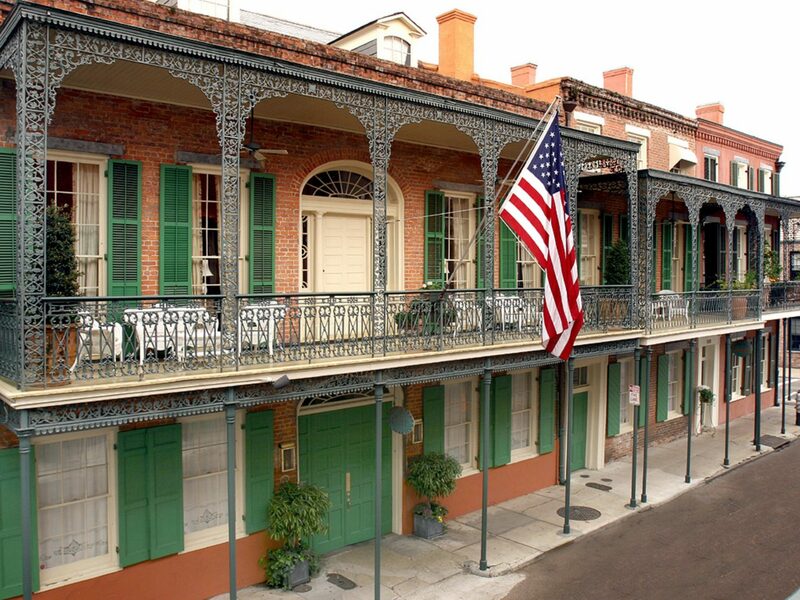 Barring the fratty nightlife on Bourbon Street, there are few more atmospheric destinations than New Orleans, with its wrought-iron balconies and Jackson Square carriage rides. 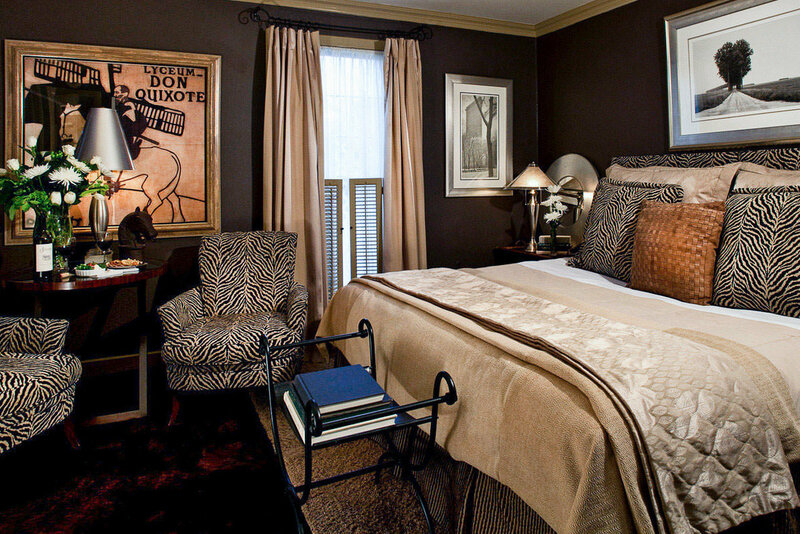 Occupying three Creole-style townhouses that date back to the 1830s, the French Quarter’s Soniat House is a discreet gem whose 31 individually appointed rooms are awash in muted hues and furnished with era-appropriate antiques (four-poster beds, gilded mirrors, drapery in richly patterned textiles); modern luxuries like Frette linens and Molton Brown bath products make for a sumptuous experience. A babbling fountain provides the soundtrack for a palm-fringed courtyard, where you can sip Sazeracs, the city’s signature drink, made with spirits poured from the parlor honor bar. 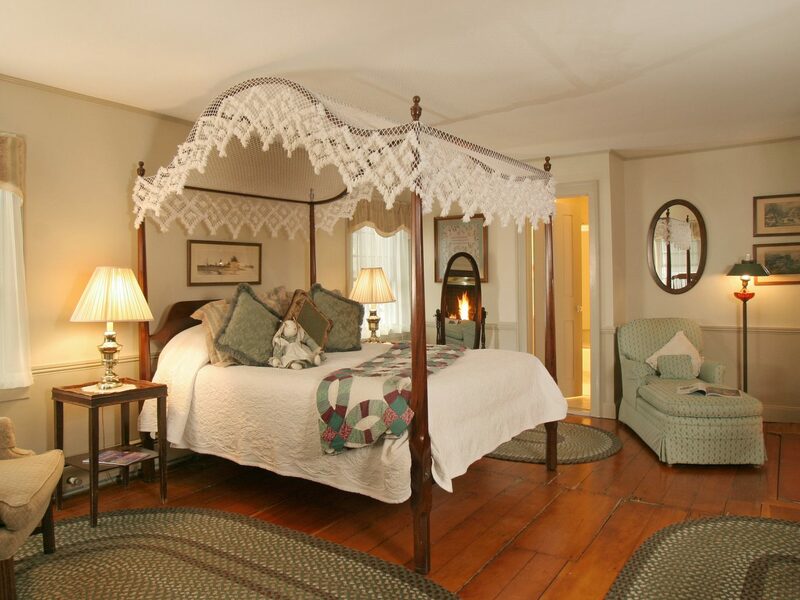 For the quintessential New England getaway, look no further than the Rabbit Hill Inn, a romantic bed and breakfast built in the footprint of a 1795 tavern and 1825 main house. 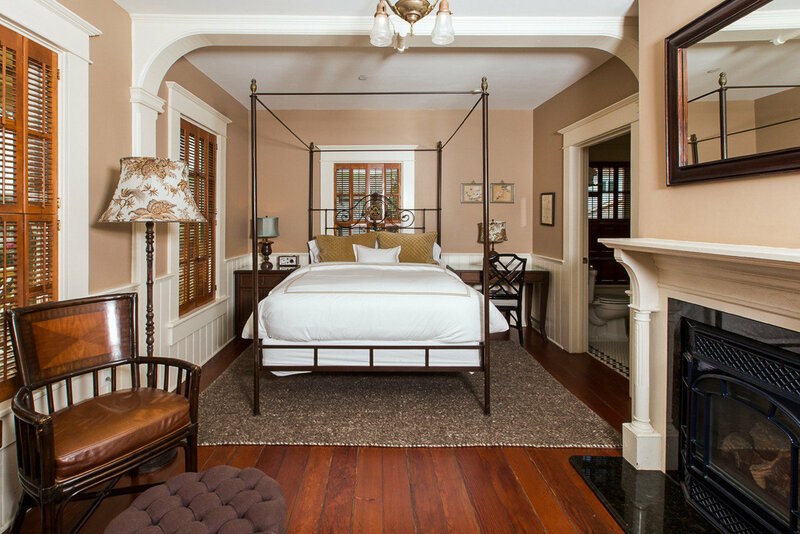 The 19 guest rooms are the Rockwellian ideal of domesticity (think lace-trimmed canopy beds, plaid-upholstered armchairs, and floral wall coverings), but don’t hole yourself up. 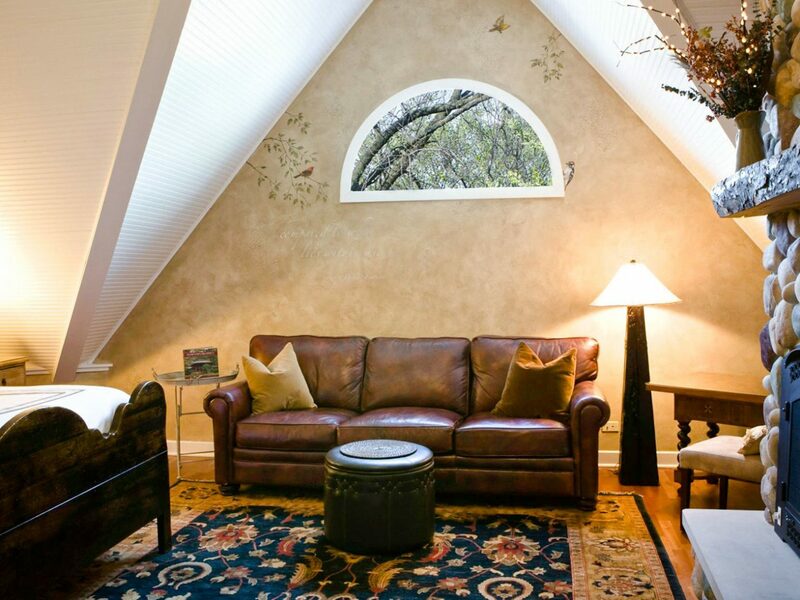 The property sits on 15 acres of forested trails, which you can hike or snowshoe depending on the weather. 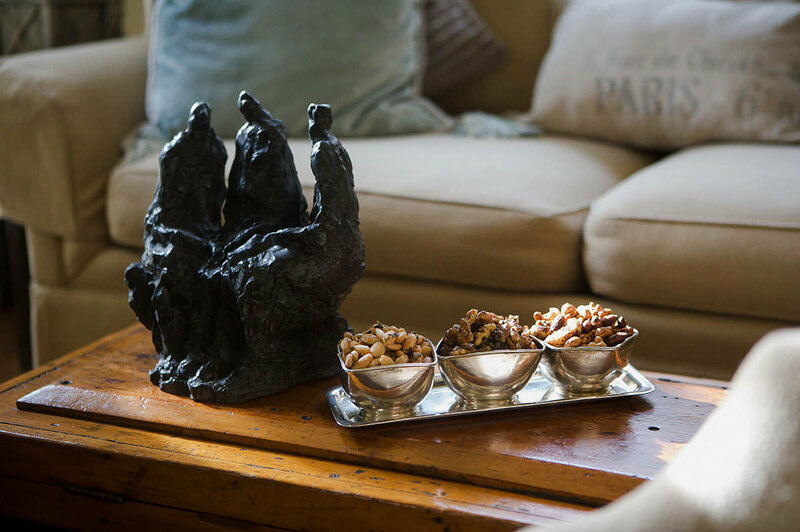 Afternoon tea with fresh-baked pastries welcome you upon your return; should you prefer something stiffer, a maple martini at the inn’s Snooty Fox Pub is a fitting prelude to the locally focused meals offered nightly in the dining room. 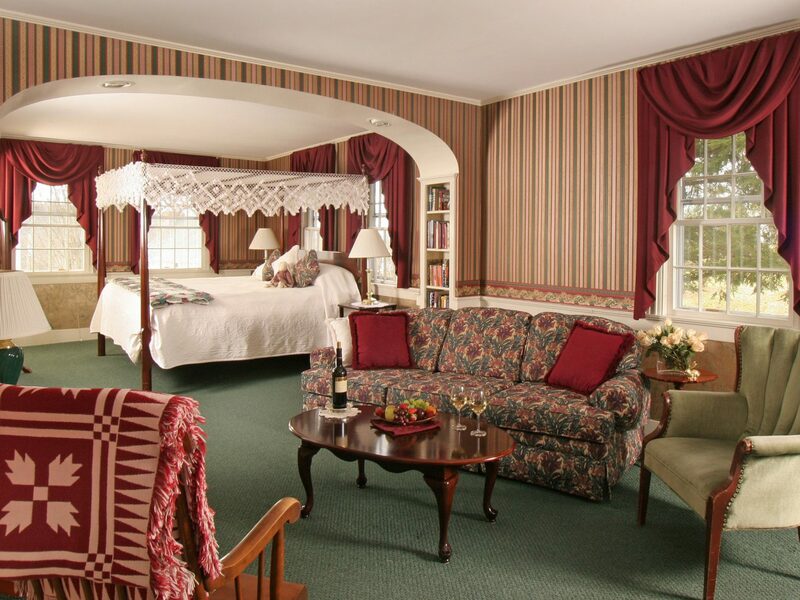 The rustic shores of Lake Michigan may not be the first place that comes to mind when you think romantic getaways, but Wickwood Inn will surprise you. 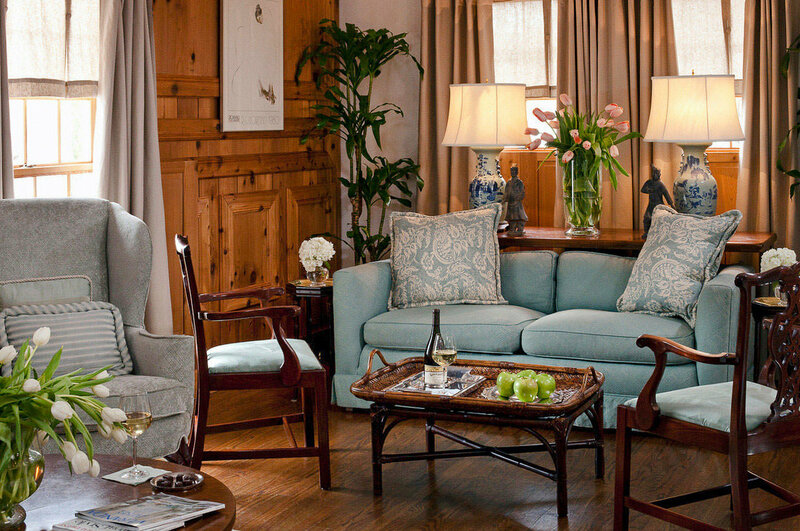 In the heart of the resort town of Saugatuck, cookbook author and food entrepreneur Julie Rosso and her husband Bill have created a highly curated culinary adventure under the guise of a French Country–style clapboard bed and breakfast. 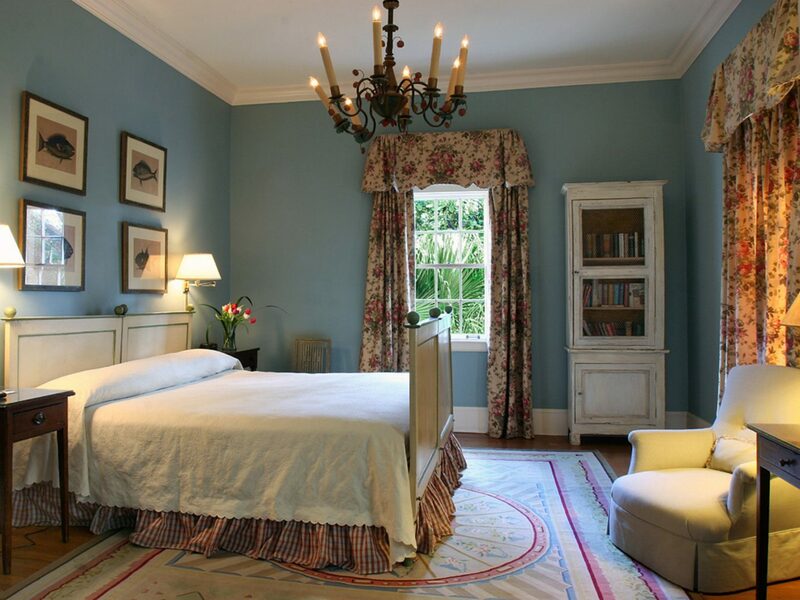 The 11 rooms are warm and inviting, stocked with French antiques, cashmere robes, and Turkish towels. 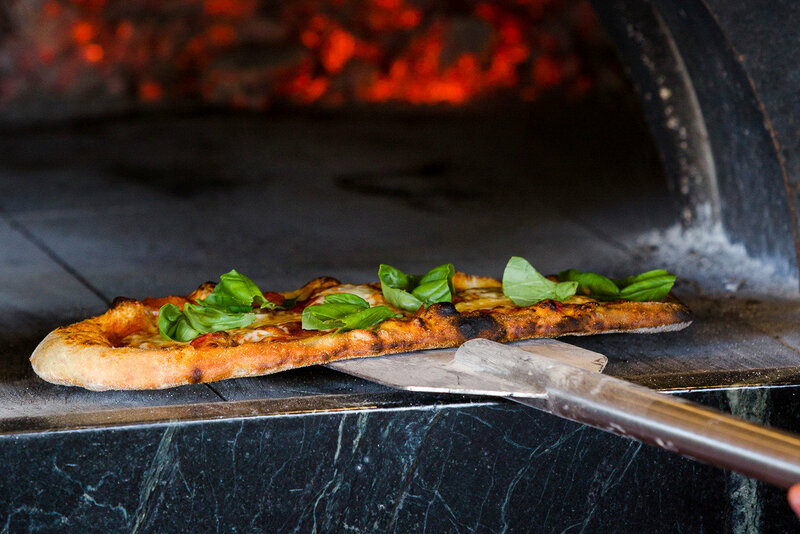 Downstairs, the kitchen takes an equally refined approach, from the three-course farm-to-table breakfast (asparagus and chèvre frittata, pecan sticky buns, house-made granola) to the daily-rotating selection of small plates (crostini, charcuterie, and more) served each evening. 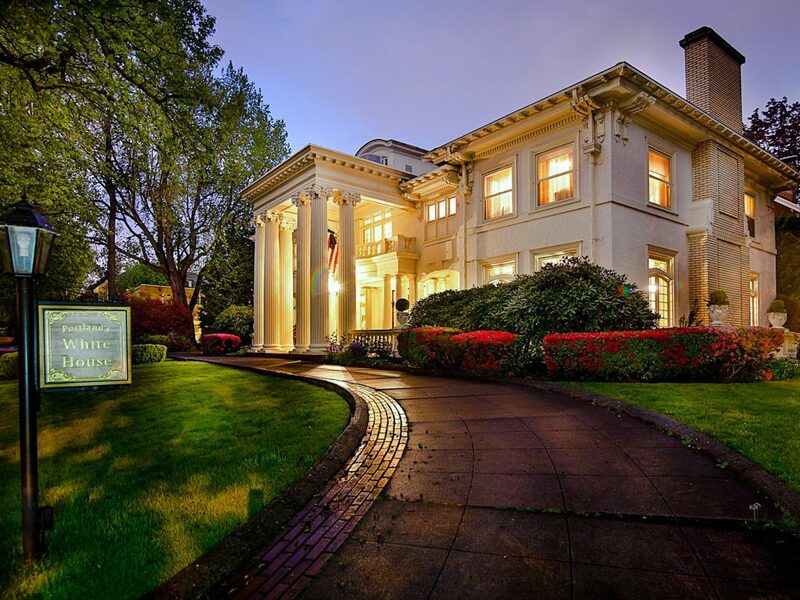 Not to be confused with 1600 Pennsylvania Avenue, Portland’s White House is a 1910 Greek Revival mansion where ambiance is easy to come by. 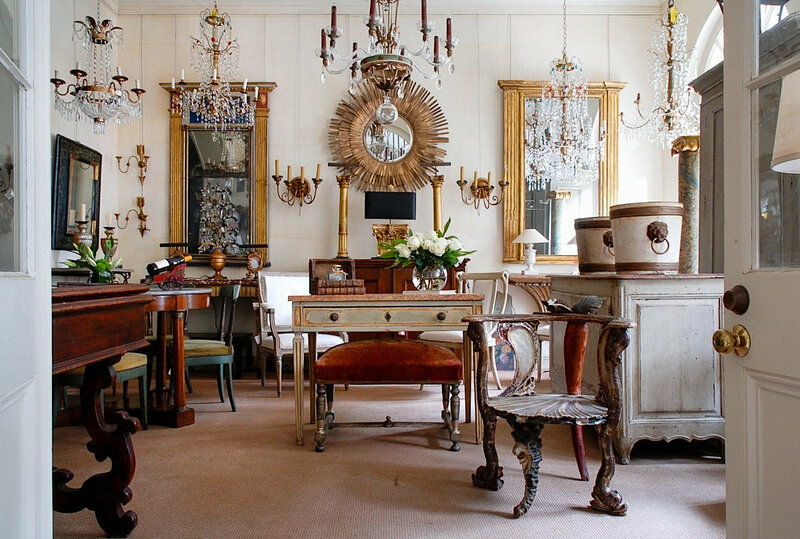 Beyond the stately columned entrance, guests are greeted with all the hallmarks of a traditional country house thanks to hand-painted murals along the walls and a collection of antique furnishings that looks like it was transplanted from European manors. 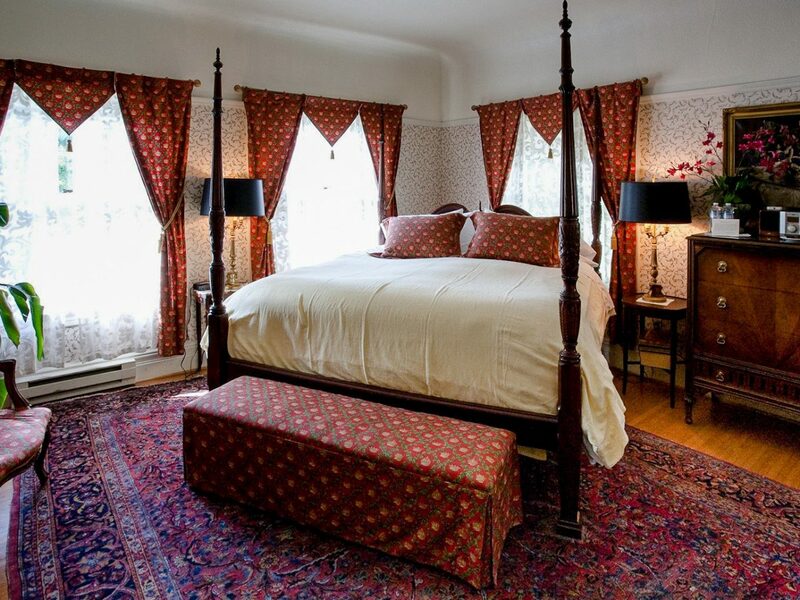 A grand staircase takes you to five classic guest rooms (there are three more in the neighboring Carriage House) with damask or floral-themed wallpapers and vintage oriental rugs. Outside, a flower-filled courtyard also plays host to visiting hummingbirds, which flit nearby as you sip your morning espresso. 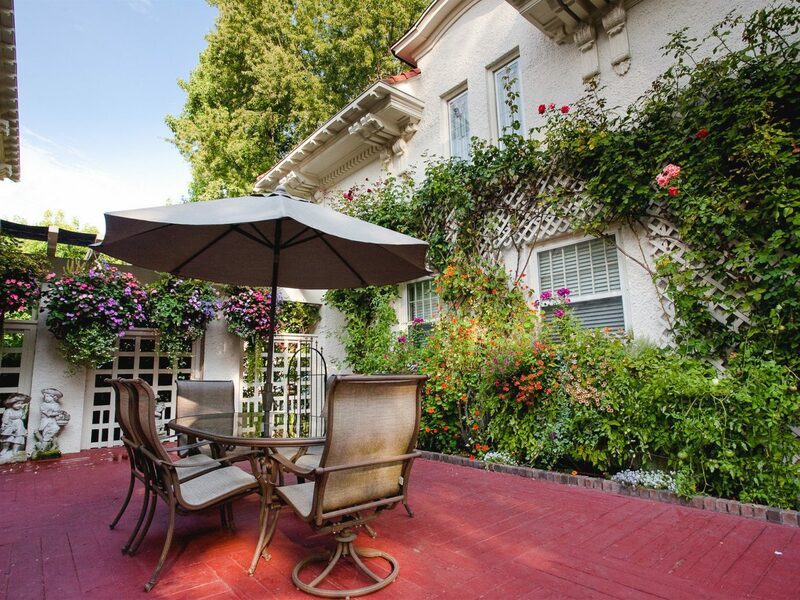 You can live out your Gilded Age fantasies at the Cliffside Inn, an idyllic 1876 Victorian mansion that was the onetime home of artist Beatrice Turner. 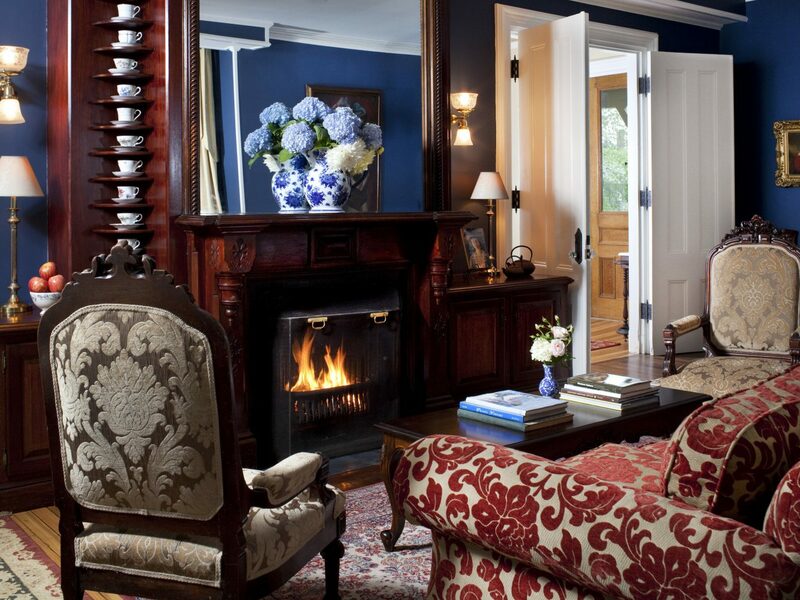 Pieces from the artist’s oeuvre dot the 16 guest rooms and parlor spaces, as do turn-of-the-20th-century antiques and period-appropriate floral patterns; all have working fireplaces and come with homemade sweets at turndown each evening. 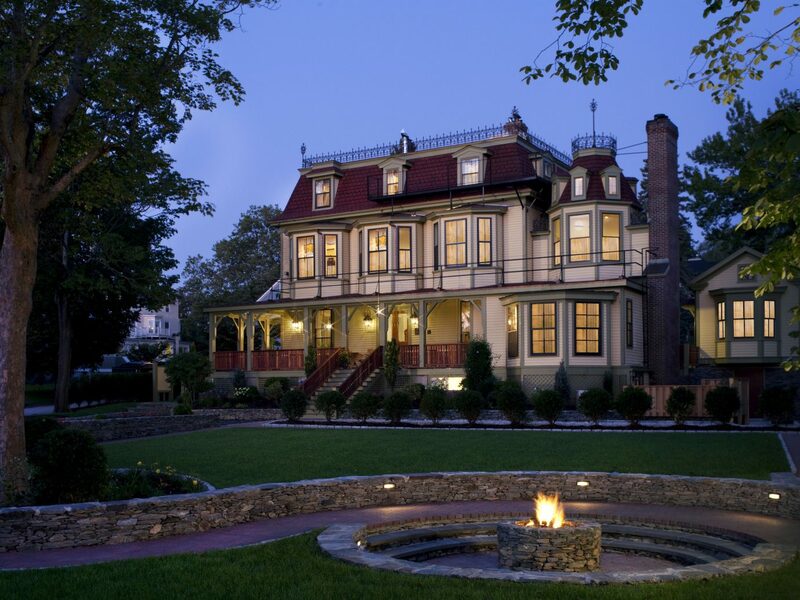 Take advantage of the inn’s unparalleled location overlooking the Cliff Walk—where you can spy the opulent former summer homes of robber barons like the Vanderbilts—then indulge in a little decadence of your own with a bottle from the proprietors’ on-site wine cellar, best enjoyed around the outdoor fire. 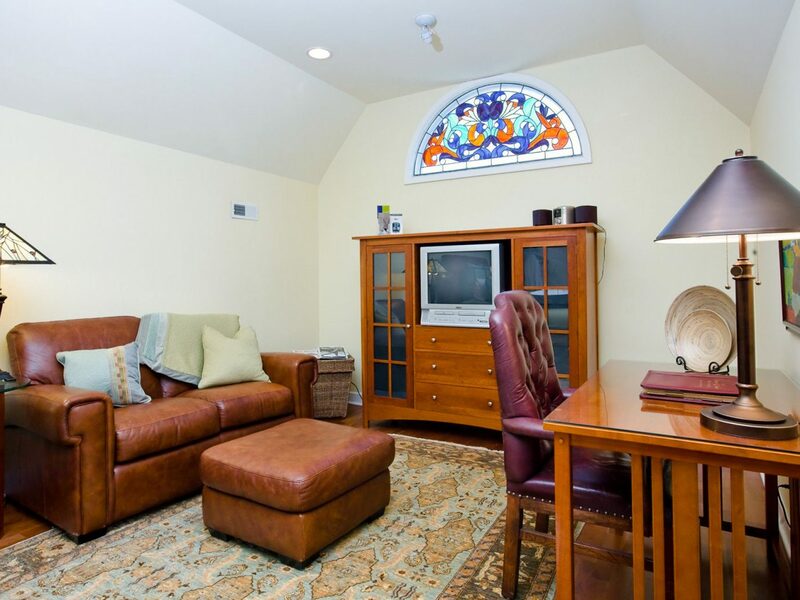 If you’re looking for small-town charm within close proximity of Chicago’s big-city action, Harvey House is the place to drop your bags. 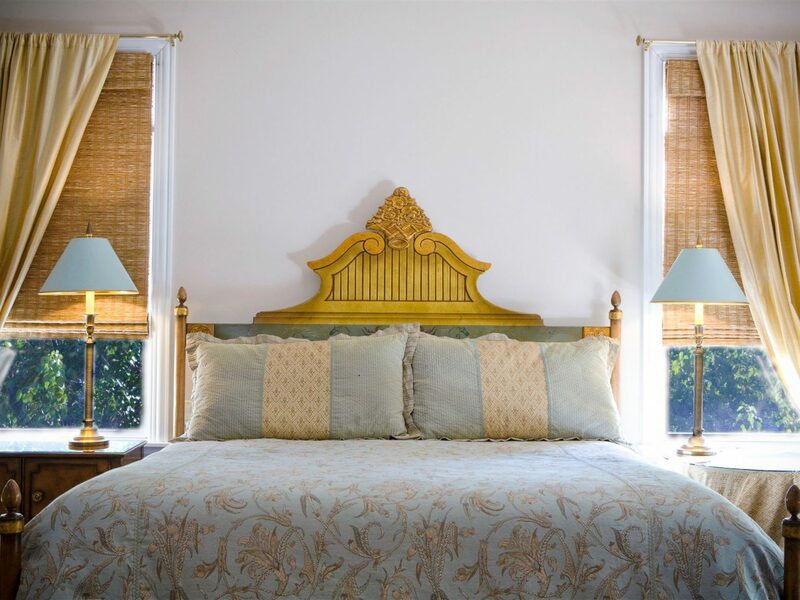 Located just a five-minute walk from the L train, in the neighboring suburb of Oak Park, the five-room inn provides gracious yet comfortable accommodations with zero stuffiness, a point appreciated over a breakfast of freshly made popover pancakes or peach kuchen. The real story, though, lies in the low-key service offered by the inn’s staff. They’ll arrange an in-room hot-stone massage before the fireplace (an oversize whirlpool tub completes the spa experience), send up champagne and chocolates for a romantic rendezvous, or suggest the best Thai restaurant in town—all surefire hits for a memorable stay.